We always recommend the installation of valves be carried out by a qualified technician, your warranty may be void if valves are damaged due to incorrect installation. Always take care to check the bias settings on your amplifier when installing new valves! If in doubt refer to your amplifier manufacturers biasing guidelines. For more information see valve/tube biasing. Dangerous voltages & high operating temperatures are present on valve amplifiers, even after disconnection from the mains supply. We cannot accept liability for damage to equipment or injury from incorrect installation of valves/tubes! If you have any concerns or would like more information on valve installation please contact us. All our valves (tubes) have a standard 90 day guarantee against failure under normal operating conditions. Payment (in full) must be received before your order can be accepted. Once payment has cleared we will confirm acceptance of your order by sending an email to you at the email address you provide during the ordering process. Payment can be made using Paypal or credit card (Via Paypal). We can only accept payments made using GB pounds Sterling. All prices include VAT. Prices shown at the final payment stage (checkout) will include all postage & packing costs; no hidden fees will be applied during the final stage of the payment process. We cannot accept payments over the phone but will be happy to discuss any queries you may have relating to your order. Please call 01394 274036 or 07711 744279 for all order related enquiries. Orders placed before 1.00pm Monday-Friday will usually be shipped the same day. Orders placed on evenings, weekends and bank holidays are processed the next working day. Next day delivery orders placed on Fridays will arrive the following Monday. You will receive an email as soon as your order is dispatched. All our valves are available from stock, and are normally delivered within 24 hours. We aim to get your order delivered to you within 2 working days (unless ordered using the next day service). If we anticipate a delay beyond this, we will inform you and give you the opportunity to cancel the order. The shipping cost is calculated automatically from the products that you order. Items will be delivered using either courier or Royal Mail depending on size of package. All shipping costs include VAT for standard UK addresses. If you would like a shipping quote simply add the items you would like to purchase to your cart, postage & packing costs will be shown next to your order. In the event that you receive a faulty or damaged valve please contact us immediately for returns instructions. All returns require authorisation & valves must be returned in the original boxes complete with packaging within 7 days from date of purchase. If defective we will provide an exchange or refund of the full purchase price of the valve & replacements will be shipped at no cost to the customer. Valves showing signs of use including discolouration, high operating temperatures or base scratching, cannot be returned. In addition we cannot accept returns for valves which have been subjected to conditions deemed to be outside the manufacturer’s operational limits or any valve breakages or failures due to incorrect bias voltage or component /amplifier failure (see valve biasing). All refunds & returns are at our discretion & we reserve the right to refuse refunds or returns. All return shipping costs are solely the responsibility of the customer. Under the consumer protection distance (selling regulations 2000) you have the legal right to cancel your order within seven days of receipt of goods. You do not need to give us any reason for cancelling your contract nor will you have to pay any penalty. However, we will require notification if you wish to cancel your contract. Please do not return any valves to us without contacting us first to obtain returns authorisation. Any valves received without a returns authorisation number will not be accepted. Once we receive notification of your cancellation instructions any fees debited to us from your credit card will be re-credited to your account as soon as possible (within 30 days of your order), providing the goods in question are returned by you and received by us in the condition they were in when delivered to you. If you do not return the goods delivered to you or do not pay the costs of delivery, we will be entitled to deduct the direct costs of recovering the goods from the amount to be re-credited to you. We strive to make sure your personal information is safe whilst on our website. 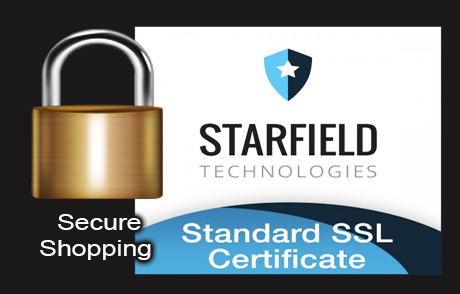 All transactions are secure & carried out using SSL encryption. Purchases from our online shop can only be made via Paypal. Ensuring credit card details are only entered directly via the Paypals secure server offers the highest levels of transaction security for our online customers. From 25th May 2018 there will be new data regulations in place aimed at protecting the privacy & data of EU citizens. GDPR (General Data Protection Regulation) replaces the old ‘Data Protection’ act with the aim of harmonising privacy & data handling laws across Europe. If you make an order with us, or register with us & set up an account, your personal details including email address, contact details & order history will be stored on our system. We will only ever use this information to assist us when processing orders from our website. We will never share your data with any third party, either for promotion or any other purpose (unless we are required to do so by law). We may occasionally use your personal information to improve our services. Our website uses SSL encryption (Secure Sockets Layer) to ensure data can be securely transferred between your browser & our website. We (Guitarlodge) are responsible for protecting your personal information on our system at all times. Great care is taken to ensure only authorised personnel have access to your personal data, combined with certain procedures & safeguards in place for added security. We are registered on the data protection public register with the ICO (Information Commissioner’s Office) & are bound by law to report any breach or misuse of personal data on our systems. You can instruct us to remove/delete any personal information we hold about you at any time. If you feel any of your personal information we hold is incorrect, you can request we update it. At your personal request we will be happy to disclose (to you) details of your personal information & data held on our system. We will never share cookies with third parties.